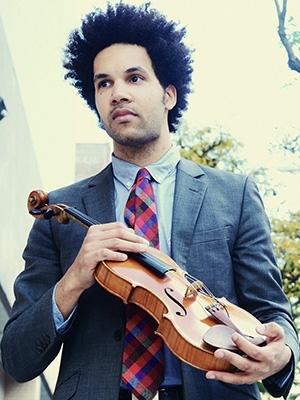 Scott Tixier is a Professor of Jazz Violin at the University Of North Texas. One of his generation’s extraordinary talents, Tixier has made a name for himself as a violinist-composer of wide-ranging ambition, individuality and drive — “the future of jazz violin” in the words of DownBeat Magazine and “A remarkable improviser and a cunning jazz composer” in those of NPR. Tixier studied classical violin at the conservatory in Paris. Following that, he studied improvisation as a self-educated jazz musician. He has been living in New York for over a decade where he performed and recorded with a wide range of artists, including Stevie Wonder, Kenny Barron, John Legend, Ed Sheeran, Charnett Moffett, Cassandra Wilson, Chris Potter, Christina Aguilera, Common, Anthony Braxton, Joss Stone, Gladys Knight, Natalie Cole, Ariana Grande, Wayne Brady, Gerald Cleaver, Tigran Hamasyan and many more. He played in all the major venues across the United States: Carnegie Hall, Radio City Music Hall, Madison Square Garden, Barclays Center, Jazz at Lincoln Center, Blue Note Jazz Club, Apollo Theater, Smalls Jazz Club, The Stone, Roulette, Joe’s Pub, Prudential Center and United States Capitol. In addition to performing in and out of the jazz world, Tixier has been appearing in the house band on most of the TV shows in America such as The Tonight Show with Jimmy Fallon on NBC, The Late Show with Stephen Colbert as well as the previous format with David Letterman, Late Night with Seth Meyers, and America’s Got Talent for 3 seasons. Tixier has also been credited in many movie soundtrack including John Wick starring Keanu Reeves, Selma with the Golden Globe winner song “Glory,” The Late Quartet starring Phillip Seymour, and other short films and commercials.